So, you want to get popular in Instagram. Well, it is not that easy since Instagram is now the best and most widely used online photo and video sharing application in the world. There are 1 billion active users monthly on the social platform. Also, the number of photos and videos uploaded are more than 100 million per day. 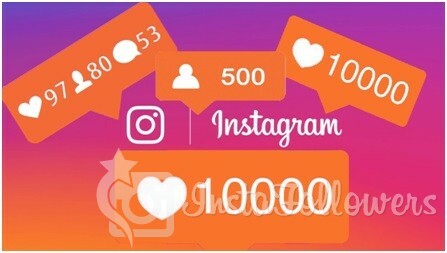 If you make up your mind to get famous on Instagram, we will give 10 great tips to be among popular Instagram accounts. The benefits of being popular are that you can make money and inspire change. Also, you can be invited to special gathering to expand your sphere. You have to have a public account if you want to become popular. If you switch into the private account, only those you approved can see your feed. Also, your content does not appear on “Search and Explore” page of Instagram that basically limit your chance to get more exposure with non-followers. Besides, you can connect your Instagram account with the number of other social networks like Facebook, Twitter to get more interaction with your account. If you are not paying enough attention to your Instagram bio, you are missing a huge potential to attract new followers. Do you know that it takes less than two-tenths of a second for a visitor to form an idea about your feed? Your Instagram bio is the center and front place that you create an image for yourself and your brand. You have to be sure that the bio description represents you in the best possible way. First Question That you need to ask yourself: Who am I trying to appeal? How can I describe myself, my aims and my personality with 150 characters? Also, you need to be clear about whether this feed will be personal or professional. If you plan to keep it personal, you can be creative and comfortable about your bio. Otherwise, it is better to describe your profession and what you offer to the visitors and indicate how your visitors can find you. One of the most important things you should pay attention is to engage with your community. Once you joined the social network, you should start following other users so that they can follow you in return. Be aware of your daily limitation because Instagram may assume that you are a spammer and may block you. You need to patient when you create your community. Keep in mind your end goal. If you want to get attention with your casual photos, be consistent. Keep your Instagram grid in style. Let’s assume that you have a business account. Do not share your personal or friends’ photo in the grid. Keep these personal or funny photos for your stories. It is extremely important you comment on other’s image or video. Recently, Instagram put priority on comments rather than likes. If you engage and at least put a heart icon as comment, this helps users’ to get more attention and followers. So, keeping in touch with your community and engaging them are two keys in growing your audience and popularity. Make a funny comment that people want to share. The social network allows you to use up to 30 hashtags. You must be aware with popular hashtag like #love or #instafamous. However, it is a great idea to come up with unique hashtag for your Instagram page. Let’s suppose that you have an ice cream shop with brilliant name. Use your company’s name as hashtag and encourage your customers to use this hashtag in their photos. You can even place this hashtag into your napkins or wall. Many social managers believe it is important to use less but creative hashtags. You must plan beforehand how many images or videos you will share per day and week. In order to draw attention and increase your followers, you have to post regularly and be persistent in your content. If you have an aim to become a popular on Instagram, you have to share 2-3 content per day while paying a great attention to your Instagram stories. Not only Instagram but also your followers like regular account. It is not a great idea to post randomly. Do not forget that being famous requires a lot of work. If you think that you cannot share 2-3 photos per day, at least put 2-3 per weeks while you engage with your community and increase your engagement with your followers and the ones you follow. It is a great idea to create a monthly program so that you can know beforehand what you will post on a particular day. Create your own style. If we talk hours about the style, it would not be enough. As there are around 1 billion active users in the community, you should make a difference and create reasons for other users to follow you. If you are another user, why should they follow you? So, you have to come up with a unique idea to create your page. If you will keep it personal, share 2-3 photos per day about you and yourselves or even what you eat. The Outfit of the Day draws a great engagement and followers. It is a great idea to share what your outfit is for that particular day. How about your makeup or brands you use for your makeup? Do not hesitate to post the image or video of your make-up! Show personality through your photos. Choose the right image and filters. Instagram lets you to pinpoint where you post and also give priority content with geotagging. Additionally, in order to found in your local community, it is essential to geotag your content. While you post your image following filters and text, Instagram provides you an option to pinpoint your location. If you opt in to use this feature, your content will become available your neighborhood. Let’s suppose that you have a shop in a particular location. By using the geotagging, other users will be able to find you without difficulty. This will pave the way to become popular in your community. Also, you can search in your area to see what’s trending and create a similar post to increase your engagement with your followers. Use geo tags in your Instagram stories. Account using locations in their stories get nearly more and more views. Ofcourse, an image is worthy of thousand words. Still, your followers need to hear what you think or what your position is on a particular issue. Also, you may need to explain your image or video to provide an idea to your followers or why this specific image or video is important for you. Get descriptive! Tell a story about your content! Of course, some will agree and some will not. Either way will provide you more and more engagement. Social marketing managers may tell you to share your content at certain times. Nevertheless, when you build up your Instagram page, you will find eventually your perfect time to share your content. It is better to avoid working hours. Instead, you can share your content early in the morning so that users can find your content when they check their Instagram feeds. Also, you can try evening hours after the meal. To increase your engagement with your followers, the call to action provides an excellent opportunity. Whenever you post an image or video, invite people to show reaction to your post by saying, “Double tap if you agree,” “Tag a friend,” “Please comment.” The more engagement you have, the more followers you will have in the near future. Now Instagram is a social network for one reason: it lets you connect with other people. So if you want to start off on your path to becoming an Instagram-Diva, the first thing to do is to connect. It is important you have a set objective for each of your Instagram account as this will help you know the people you will need to connect with. Yeah! You are on the gram and you’ve got to connect with people that matter to you. Probably you have got a couple of follows yourself. What Next? Engage! To hire people, you will need to drop comments on their posts. Useful, humorous or very intelligent comments will get you notice. Join by using hashtags that are currently trending in your community or Niche. Tagging other bigger players in that community or niche will also be useful as you seek to engage. If you get a perfect shot in a fantastic location, geo-tagging will increase engagement on the Gram as this excellent location may be popular already. Consistently posting on Instagram will keep you atop your audience minds and will get you more followers and likes. Every social network has its ethics. In the gram posting at the mornings or after work hours is considered the best for getting engagements. Again reduce the number of selfies on your feed and learn to spread out your pictures instead of dumping multiple photos of the same type at once. Learning to use apps that are created to enhance Instagram is another way to improve your visibility and followers engagements. Flipgram and Overgram are examples of these apps. Typically, women are more open about expressing themselves online and are more aware of their appearance in photos than man. Man are less confident about expressing them, especially online. Also, when we are talking about sharing online, women are more open about that too. Celebrities and non-celebrities women like to take photos, they like to share everyday things with their friends, but also like to see what other people do much more than man. Woman are not always comfortable with social media, but Instagram has a form that is very appealing to them and once they start to feel safe enough to share more it is like they get empowered as time goes by. Woman and man have different day dynamics and maybe that`s why women are more opened on Instagram. Although they have very busy everyday life, woman have a need to share things with their friends more than man do. And to be honest, there are much more things a woman can share because the variety of things they do. Maybe a man would share when he makes a dinner for his `special one` but the woman makes dinner every day. Also, more than man, woman seek for the inspiration for their everyday life on Instagram. It gives them a fast way to find the outfit of the day or some old recipe, or to find out something about their baby. Man, on the other hand, seem to use Instagram more for business purpose and their orientation is more towards that then towards personal things. All of them show, for example, that women are more likely to take a selfie than man is with results a greater interaction on Instagram. When we talk about boosting advertising and revenues, the woman is more engaged with brands on Instagram than man is. Any business owner can use to promote or showcase their businesses to the entire world in order to get Instagram Business Advantages. Instagram is an application that enables users to take pictures and upload to share with their followers. An image is worth more a thousand words. Instagram has lots of advantages over other social media because of different images you can use to convince your audience to buy your products or services. It is a platform to translate your idea or thought into reality, and a great instrument for entrepreneurs to connect with possible clients. Highlighted as follows is some of what you stand to gain by using Instagram for to advertise your business. Share the causal experiences of the company on day-to-day to create a personal belief and feeling for your business. You will be able to establish an aroused connection with your clients and rand. Social media is now a necessity for businesses, and simply many cannot give up not to take the strategic advantage of the traffic the Instagram will bring to them. Despite the popularity of Instagram platform among the people, you will discover that a lot of your competitors operates on Twitter and Facebook platform, they are not on Instagram. The more interaction your client can make with your brand the more loyal they become to it. However, if your target audience is among the middle age people, then Instagram is the best place for you. Sharing more facts about images related to your industry and quotes, you will gain a following on Instagram that your Facebook and Twitter competitors will not be able to capture. Also, it will be easier for your business to reach it’s targeted audience faster than Twitter or Facebook where there’s so much competition. The best way to post your events and promotions for free is with comments and images on Instagram. Once you have a follower base, this is the best way to announce to them the most recent events in your business. Since there is no limitation to characters with Instagram, in depth, you can give details of your events and promotions. You can as well make a useful, valuable and quality visual for Instagram and post them on other social media platforms. With Instagram, it is easier and quick to make updates and show your target audience and clients your services and business behind the scene photos. It is easy to select a filter, take a photo or short video, and adding locatable hashtags. You can also have a direct talk with your account on Instagram, leverage hashtags, leave comments, create a location, and tag photos with people, and then people will reach you. Instagram is an awesome avenue to network existing or potential clients. It gives an outstanding feature to increase your reach online. You can do this by commenting, liking and following the person who engaged in same product with you. The more you participate in other people’s post, the more they will also participate in your post as well. Instagram break yusers record and passed 700 million active users monthly, but that is not enough we will see 1 billion in the short term. Social media presence is a ‘must have’ for today’s entrepreneur. If you are trying to achieve anything online, whether it is creating a business, promoting a cause or brand or you are just using your internet space for personal development, a social media account is inevitable. However, because of the continuous addition of new websites to the surfeit of social networks, it is becoming more and more difficult for individuals and small businesses to discern which social networks to belong to achieve set objectives quickly. Thankfully a perusal of recent trends will help you make up your mind and quickly. Statistics don’t tell e lie..
Instagram is by far the fastest rising star amidst the plethora of social networking websites. As a matter of fact, Instagram has been on the rise since its launch in 2010. It is reported that Instagram dominated the App Store in just 24 hours of release and had over a million downloads in three months with over 25 million users in two years. Statistics from Citi showed that users are almost twice as engaged as they were on Instagram as compared to Twitter. Also, the number of users on Instagram has been steadily increasing from 400 million active users in September 2015 to a community of about 700 million users at the same time in 2016. These rapidly changing statistics, a sign of more adoption among social network users have necessitated eMarketer to reconsider their original forecast about Instagram’s adoption. In their latest forecast, eMarketer acknowledge that the Gram may claim about fifty-two percent (51.8 precisely) of social network users by 2017. Pictures don’t like, this notion is true concerning Instagram, unlike other social networks, you do not have to explain “what is on your mind” but you can just share “what is going on in your life with a click of your phone’s camera. The network effect is the greatest benefit of social media websites, and Instagram allows you to follow people that interest you and those that you feel inspired by. Any stranger can follow you. Everybody would love to have a documentary of his/her life made, and Instagram gives you the tools to make one yourself. Document your happiness, record your pains capture the process that will lead you to your gain. Join millions of Igramers (Instagram Users) record and share humanity. The truth is whether you are a user in war-torn Syria or a citizen of a wealthy country, we are all humans, and in the end, humanity is what binds us.